If you follow me on instagram (@vicckyt), you might have noticed that I dyed my hair. I got balayage highlights and a part of my hair was bleached. This was my first time getting it dyed professionally. I used to dye it at home by myself but after I bleached it, it became a lot drier. So these past few weeks, I started to only washing every other day. It’s supposedly better for your hair if you wash it less since over washing it would strip it of it’s essential oils. But in the process of trying to “train” my hair of my new washing schedule, I had to rely on dry shampoo to keep it tolerable. In the short amount of just starting this routine, I’ve tried several dry shampoos already. I got this at Sephora via a promotional code and I am so glad I didn’t spend any money on this. It is probably the strongest smelling dry shampoo that I had tried so far. The smell was overbearing and I could still smell it in my hair the next day. Other than the smell, it also made my hair feel like I sprayed hair spray in it. This is probably my least favorite. I got this as a gift from my hair colorist after I dyed my hair. It has a really strong fragrance as well. It smelled like the salon; I don’t know if that’s an accurate description but it has a really strong I just came out of the salon smell. I didn’t like the smell though it did work as a dry shampoo. This is my absolute favorite. The fragrance is tolerable and it really helps cover up the extra oil I accumulate from not washing my hair (eventually I hope, my hair will get used to this schedule and not produce as much grease). My head doesn’t feel as dirty and it doesn’t look dirty. Of course, if I run my hands through my hair, it’ll feel gross. 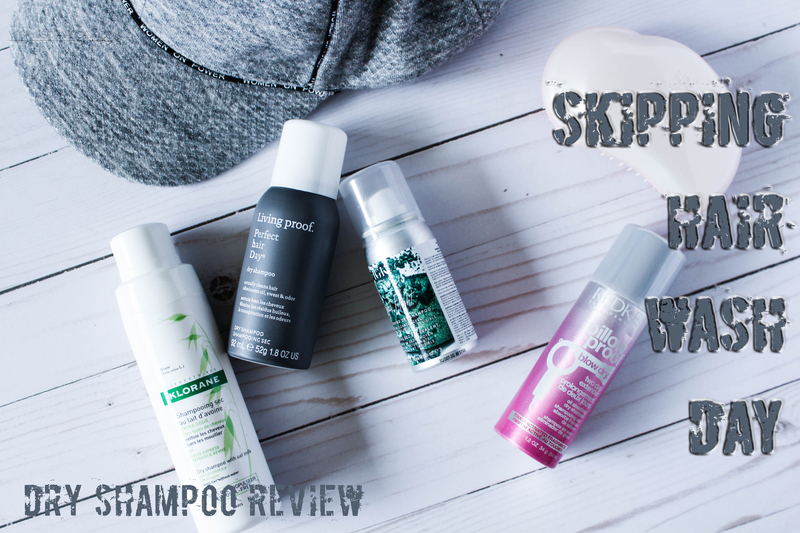 Even though I love the Living Proof dry shampoo, I was afraid all that alcohol in the aerosol dry shampoos would dry out my hair and scalp in the long run. 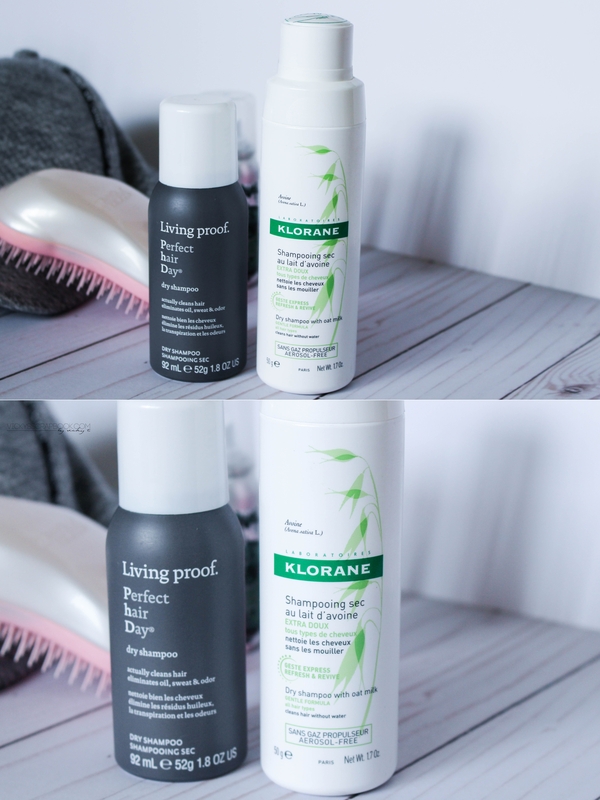 Klorane has better ingredients and has a loose powder formula. I feel like it’s a good alternative to switch between. It doesn’t have any strong fragrance at all and it works just as well. But the only thing is that it does seem to leave a bit of white residue even after you brush it out. I’m still trying to figure this one out but I feel like powder formula would be less of a hassle to travel with than an aerosol. 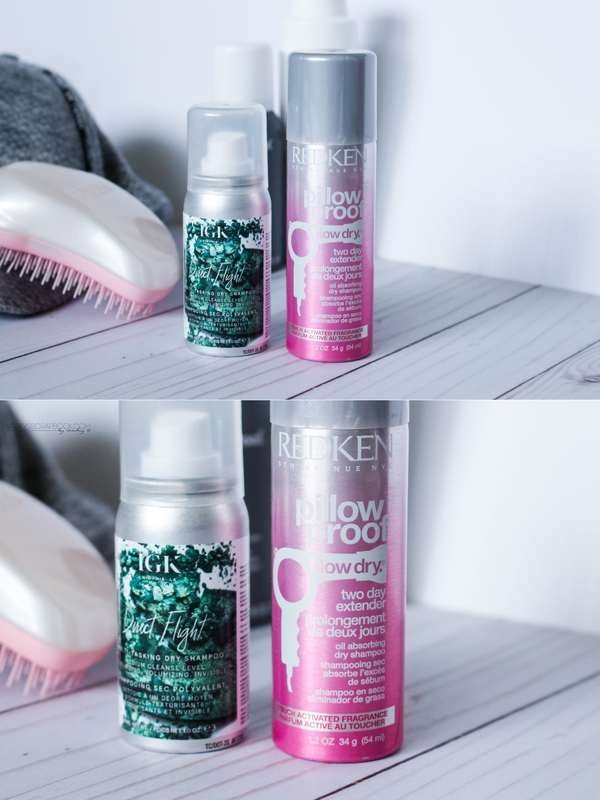 So what’s your favorite dry shampoo?